A poll of 507 UK business leaders on behalf of Maritime UK has found that, despite support for the recent Chequers agreement, 66% of those surveyed believed it would be likely that the UK will leave the EU without a deal. The survey also revealed that business leaders are preparing for such a scenario. 21% of those questioned said their business had made a lot of preparations and a further 29% said their business had done some preparation. However, 47% had not done very little to no preparation which puts pressure on the UK Government to mitigate any damages to the economy in such a scenario. Business leaders are concerned about the impact of a ‘no-deal’ scenario. In particular those polled were concerned about increased costs such as tariffs and disruption to supply chains which would include delays at ports (67% were concerned about the former and 65% concerned about the latter). 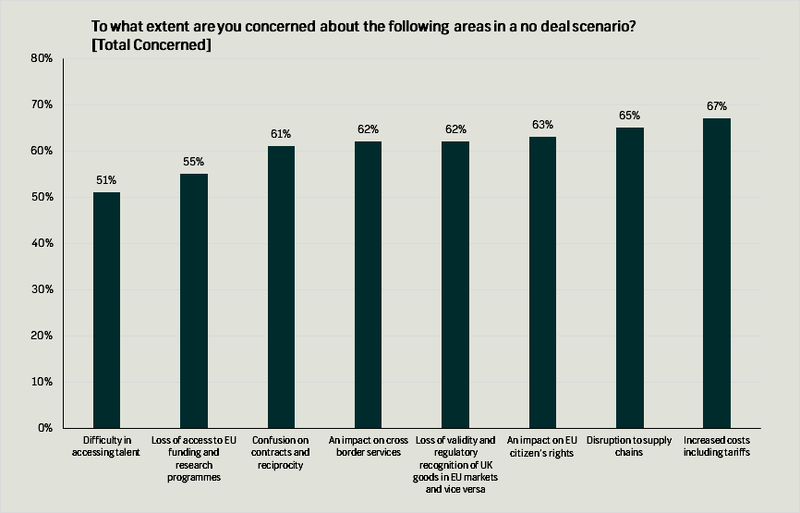 An impact on EU citizen’s rights and on cross border services, as well as a loss of validity of UK goods in EU markets and confusion on reciprocity were concerns for over 60% of respondents. Whereas, losing access to EU funding and research programmes and difficulty in accessing talent were of less concern to the business leaders polled (55% and 51% of respondents respectively). The recent agreement reached at the Chequers summit which included a commitment to replace the free movement of people with a ‘mobility agreement’ was supported by 58% of those polled. The agreement outlined that the UK and EU would maintain a common rulebook for all goods but the UK would strike different arrangements for services. This could explain why only 45% of those polled whose business primarily focused on services supported the agreement compared to 72% of those whose business focused on goods. When asked about what areas would present the UK with the greatest opportunities once it leaves the EU, international trade was the most popular answer. 26% of those polled ranked it as the greatest opportunity whilst a further quarter felt it was the second or third greatest. Regulation, taxation and industrial strategy were areas that over 40% of business leaders surveyed felt was one of the top three areas of opportunity for the UK once it leaves the EU. The poll also revealed that business leaders could be seeing the impact of the Brexit vote. 38% of those polled said they had had some to lots of difficulty in accessing skilled labour in the past 12 months; although 40% said they had had no difficulty. The question did not specifically mention where the skilled labour was from but it highlights that if a more restrictive immigration system is put in place after Brexit, the UK Government must match this with increased investment to help plug the skills gap. 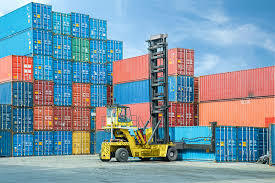 Of the business leaders whose business exported their goods, 63% had seen an increase in their exports to some extent in the last 12 months. This could reflect the decreased value of the pound relative to other currency since the EU referendum. Research was conducted online with a sample size of 507 UK business leaders on behalf of Maritime UK between 26th and 27th July 2018. Business leaders in this poll is defined as someone having one of the following positions: President, CEO or chairperson; owner or partner; director; senior executive or high level manager; chief financial officer or chief technical officer. To find out more about Survation’s services, and how you can conduct a telephone or online poll for your research needs, please visit our services page.